Peter is one of the giants of the modern game, having won the World Professional Billiards Championship twice in 1994 and 2001. He started playing at the age of 10 on a small table at home inspired by the TV programme Pot Black and then on a full sized table at age 12. His early influences came from Alex Higgins at snooker and Norman Dagley and Mark Wildman at billiards. He made his first centuries at both sports when he was 16. He made rapid progress through the amateur ranks and won the prestigious English Amateur Championship in 1988 before turning to the professional game. He can count 3 maximum breaks at snooker amongst his many achievements but he regards his magnificent break of 1346 in 2007 as his greatest achievement in a match where he averaged a remarkable 426. 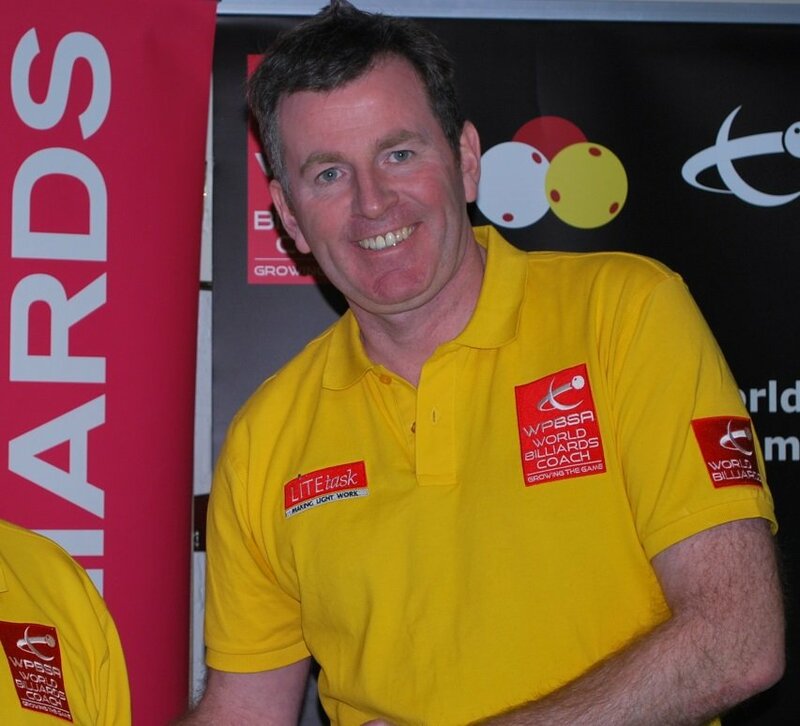 Peter is now lives and works in Singapore as the National Coach for the Singapore Billiards and Snooker Association. He plays with a maple Green Baize cue 58 inches in length and 18 ounces in weight with a 9.5mm Wooldridge tip.